The main difference in the battle Pioneer VSX-LX503 vs Marantz SR7012 is in their total power: 1090W (VSX-LX503) versus 950W (SR7012). 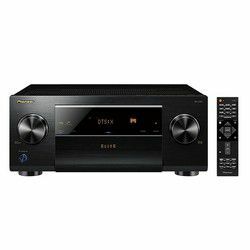 The Pioneer VSX-LX503 is a 9.2-channel receiver with a power of 120W per channel. A user can get immersive surround sound regardless of the number of speakers. The Marantz SR7012 is a device with a 192 kHz DAC. It can apply 5.1.4 or 7.1.2 setups, due to its 11.2 processing. The Marantz has less total power than the Pioneer, but this is offset by more power per channel – 125W. In a pure-direct mode, bypassing all sound circuits, the SR7012 is creating a believable sound field. 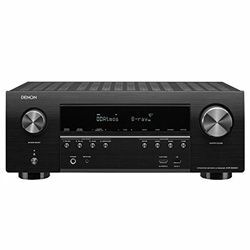 In Marantz SR7012 vs Pioneer VSX-LX503 comparison, it should be mentioned that the VSX-LX503 produces perfect sound due to the built-in DAC, which can handle Hi-Res audio up to 384 kHz/32 bit if I compare it with DAC in the SR7012. The Marantz SR7012 has a lot of connectors. One of its HDMI can work with the enhanced return channel, allowing a user to transfer Hi-Res audio. The Pioneer has 7 HDMI inputs and 7 AV inputs. Both receivers have the same number of digital inputs and terminals. The VSX-LX503 works with popular streaming services and can work with external devices. The SR7012 supports wireless technologies ChromeCast, AirPlay, and Play-Fi. The audio tuning and calibration system Audyssey MultEQ XT32 delivers the SR7012 precise sound, which the user can customize using the Audyssey Editor app that is available on Android and iOS. The VSX-LX503 has similar calibration system MCACC but without calibration app support. The Marantz SR7012 has an elegant appearance. Buttons, knobs, and a small round screen are on the front panel. They look minimalistic. The entire panel is occupied by connectors. The Pioneer VSX-LX503 has a functional appearance. Main controls and screen are on the front panel and it is possible to manage plenty of functions from a hidden control panel. It is possible to control the receiver through Google Assistant or Amazon Alexa, which gives full voice control over the basic functions of the receiver. The automatic tuning system doesn’t work with different types of speakers. 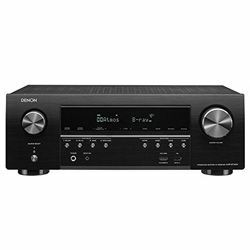 The receiver allows controlling the full 5.1.4-channel configuration without additional external amplifiers. 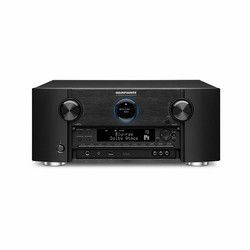 The Marantz supports the integration of Amazon Home Entertainment Skill, giving users the ability to control the main functions of the receiver.